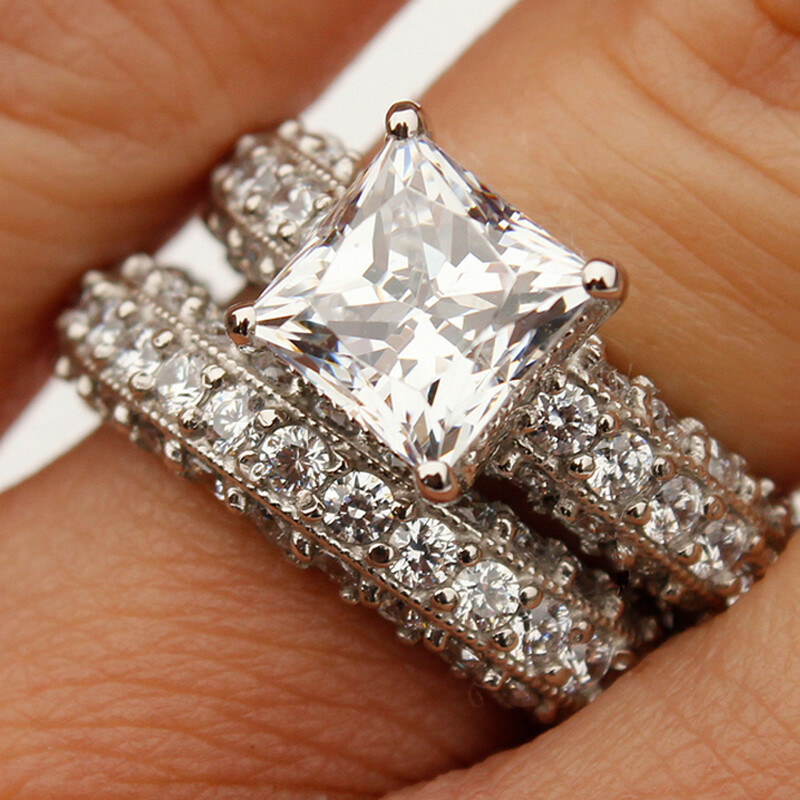 Pave-Set Princess cut Bridal Set - Palladium - Size 5.5 was added to your cart. 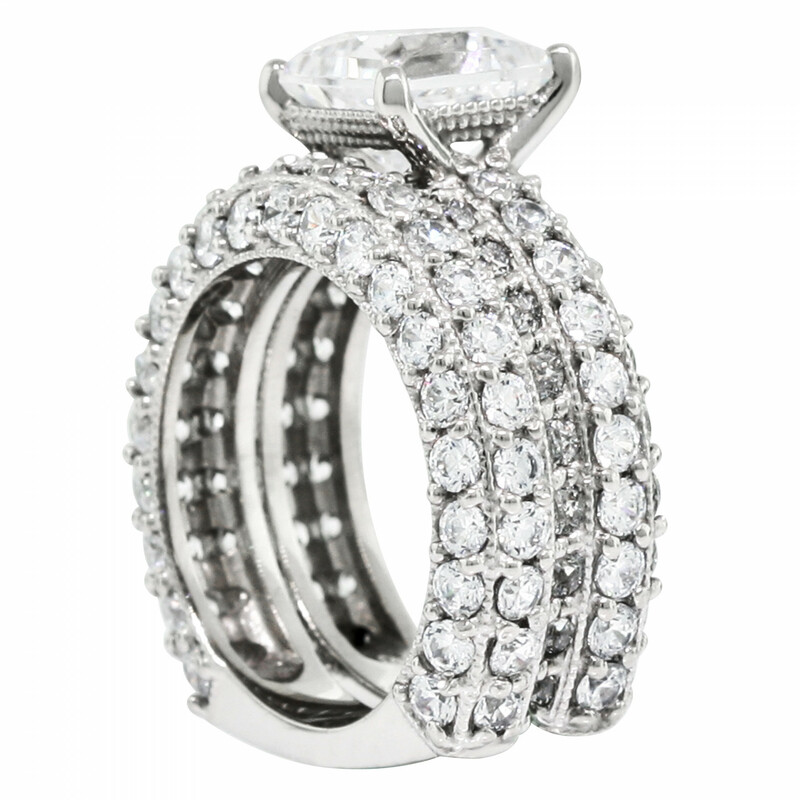 Go all out with the fierce glamour of this pave-set bridal duo, featuring over a hundred combined accents and a 2.01 carat Princess cut center stone! A Euro-style shank with no stones on the flat bottom helps reduce impact-related stone loss and prevents the rings from falling to the side of your finger. Very elegant and second to none. Just beautiful as a matter of fact this is the most beautiful set of wedding rings I have ever seen.